Don't Forget Pets This Valentine's Day! As you may have remembered, my dogs were my babies long before Adalyn was born. Of course having a baby is time consuming but I cannot forget my first babies, my dachshunds. This Valentine's Day, remember your pups and get them a little something to let them know that you love them. Ava and Jaxen have really surprised me with how awesome they have been with the baby. They had never really been around children before and would bark when we saw kids on a walk. I was so nervous that they would be bad with Adalyn but in reality, they are awesome! They are protective, gentle and even come up and give her a couple of kisses sometimes. Also, we are teaching Adalyn to pet the dogs when is going very well! The dogs put up with so much and deserve to be given a few extra treats and extra love. I recently picked up the dogs some Milkbone and Pup-Peroni treats from Walmart. The photos already give it away that my dogs loved the treats, especially the Pup-Peroni treats which they went crazy for! My parent's dog Isaac even joined in on the fun when he came over! -Share some pet-friendly treats with them. My dogs love apples, carrots, etc. Jaxen and Ava's favorite things are burrowing under a warm blanket, treats and going on a walk. Jaxen loves wearing a coat because he is always cold and Ava takes her coat off the second I put it on. Whatever your pet likes, show them some love this Valentine's Day and make them feel loved! 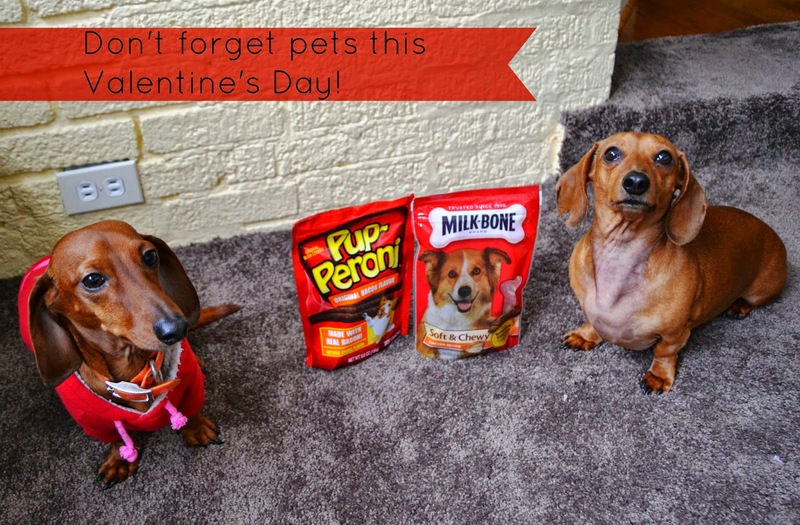 Treat the pups this Valentine's Day. 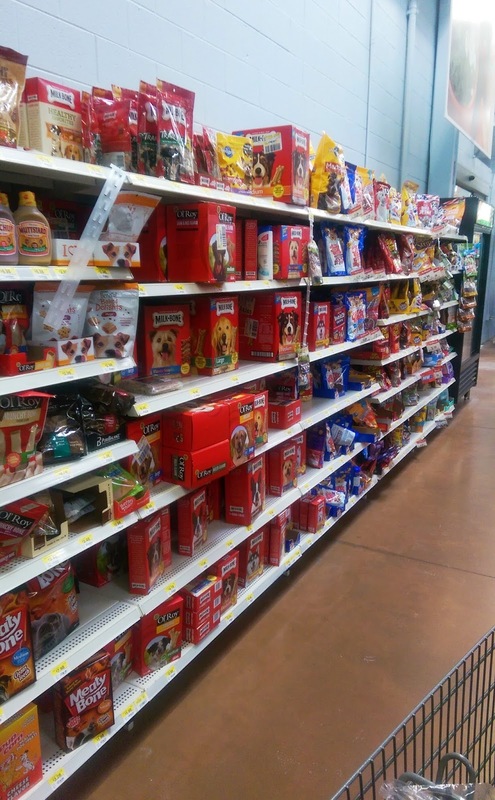 Walmart had lots of options available for pet treats at affordable prices. I was surprised what a big treat aisle and pet section they had. What are you doing for your pet this Valentine's Day?